The Alliance Alive is the title of FuRyu’s new JRPG on Nintendo 3DS, following The Legend of Legacy. In fact, it’s currently being developed by pretty much the same core team as that game (including chara-design and music). It was originally supposed to be released in a couple of weeks, on March 30th, but it looks like players looking to get their Bravely Default-like fix will have to be a bit more patient: FuRyu announced today that its release was delayed. Instead of March 30th, The Alliance Alive will now be released on June 22nd. As usual, this delay is (officially!) due to quality concerns: the publisher has determined that further improvements in quality were required before the game was ready for release. Unfortunately, that’s all that was said about the delay, and we don’t really know which parts required more work to be completed. To compensate fans for this delay, FuRyu is going to include a special soundtrack album and a set of 5 Nintendo 3DS Themes to their early purchase bonuses for the game. 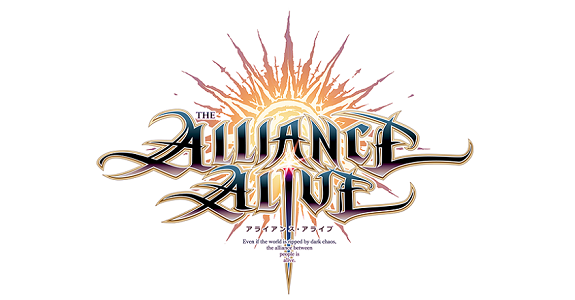 The Alliance Alive (3DS) will now be released on June 22nd in Japan, instead of March 30th. Unfortunately, no western release has been announced so far.